Audiences aren't the only ones who have become overwhelmed by all the TV content available to them. At least one network head also agrees enough is enough. 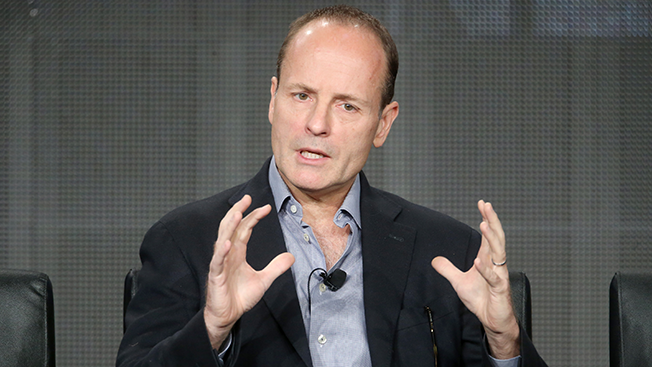 "This is simply too much television," said FX Networks CEO John Landgraf at the Television Critics Association's summer press tour. He shared data with reporters that the number of scripted original series has almost doubled in the last six years. While 2009 boasted 211 original scripted shows, that number jumped to 371 last year, and "we believe 2015 will easily blow through the 400 mark." But Landgraf predicts that trend will soon come to an end. "My sense is that 2015 or 2016 will represent peak TV in America, and that we'll begin to see declines coming the year after that and beyond," he said. The shifts in the proliferation of TV content and the way audiences consume it will usher in "a new frontier that will be defined by brands," said Landgraf. "Programmers without a defined brand identity and the scale to support that brand with great and plentiful programming and marketing are going to have a huge struggle as time goes on." With an overabundance of options, brands will help serve as filters for an overwhelmed public, much like they do for consumers at a grocery store. "Brands make consumers' lives easier. They are signposts that point to their favorite choices," said Landgraf, who touted FX's "trusted" brand. That won't bode well for smaller networks trying to get a foothold with audiences. "I don't think that independent channels are going to fare particularly well in the future," said Langraf. "There's going to be a little bit of culling of the herd"
Landgraf said it has become that much harder for FX and other networks to launch new shows in such a competitive environment. "I think the good shows often get in the way of the audience finding the great ones," said Landgraf. When deciding whether to renew a show, Landgraf said he and his team get one "vote," critics and TV experts get another vote, and the audience gets a third. "Two votes get a show picked up," and while he can override the other votes if he feels audiences or critics will ultimately come around, audiences are so overwhelmed that "it's very difficult to get you to take a second look at anything you've rejected." That reality recently led him to cancel The Comedians, the low-rated Billy Crystal and Josh Gad comedy, despite his personally believing in the show. Landgraf also took a shot at streaming services like Amazon and Netflix that don't share ratings data but claim their shows are successful, as well as networks like USA that renew shows for a second season before the first has even premiered. "Nobody bats .400 in professional baseball, and nobody bats 1.000 in TV," he said. While FX was one of the first networks to only release live-plus-three ratings instead of live-plus-same-day, a move that many networks have now embraced, Landgraf said that "now even live-plus-three appears to be an antiquated mode of measurement." Instead, it now takes 60 days "to get a fully legitimate audience measurement," by tallying DVR usage and nonlinear viewing on platforms like VOD and streaming. He cited American Horror Story: Freak Show, which jumped from 7 million viewers in live-plus-three to 12.6 million viewers per episode in live-plus-60. Given the inability to monetize those viewers, it's no surprise that Landgraf declared that "the advertising model is pretty broken right now … that model just has to be reinvented." Beyond accounting for all those additional viewers watching on other platforms, the model needs to improve the experience for consumers that are now used to watching without ads on outlets like Netflix. "There's so much advertising that it's effectiveness is disappearing a little bit into the ether," said Landgraf. "Once we get the models made, that will allow us to recapture some economic value." He suggests one possibility would be fewer ads, "and higher CPMs for the advertiser but better targeting. "The truth of the matter is, not everyone in the United States of America will want to pay for no ads, or be able to afford to pay for no ads," said Landgraf. "We're going to try to reduce the distance between those two experiences over time."